They selected USD so I'm not sure why they're seeing this. I will ping Matt @ PayPal in case it is a setting on PayPal's end, but we should check our settings too. 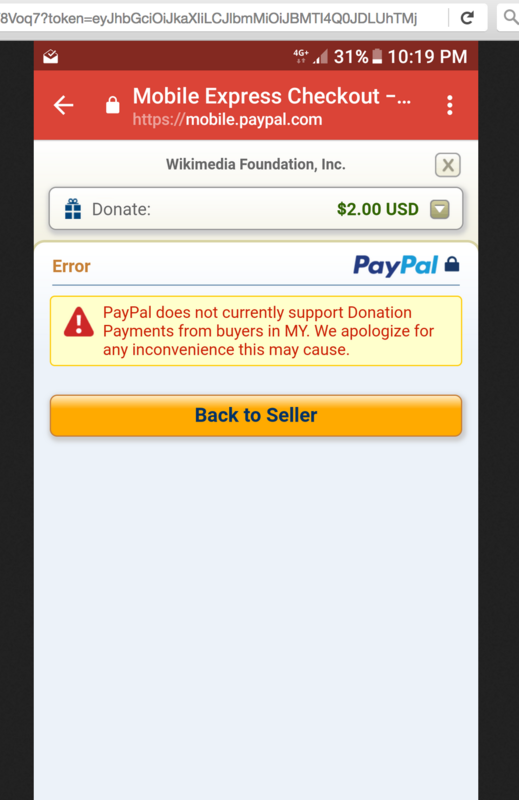 "Mobile donation are not enabled for Philippines, Indonesia, Thailand, South Korea, Malaysia and Vietnam"
I asked him for more info about enabling countries.